Will you be backing Tiger at a little over even money? 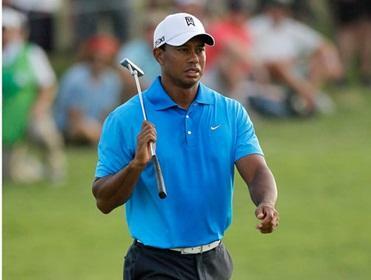 "Woods' game appears to be in better shape than it was when he was second here last year and he can continue his solid start to 2013." Tiger Woods exited last week's Match Play in the first round without making a bogey, highlighting the fact that you need a bit of luck to progress in that particular format. If he manages to avoid bogeys this week, or at least keeps them to a minimum he will be a hard man to beat on a much tougher course. Woods' game appears to be in better shape than it was when he was second here last year and he can continue his solid start to 2013. Dustin Johnson and Martin Kaymer are his round one playing partners, neither have any notable course form. Charl Schwartzel and Russell Henley re-oppose this week after last week's titanic Match Play encounter. However, this week they have Justin Rose alongside them and 'Rosey' is well suited to PGA National. Like his playing partners, Rose has started the year well, he's been third and fifth here in his last two visits. The Englishman just edges an exciting three-ball for me. After a stumbling start to the year, Nicolas Colsaerts kick-started his season with an impressive run at last week's Match Play. Colsaerts has impressive GIR stats that might well see him suited to PGA National. Andres Romero has consistently struggled here and again looks in poor form; Dicky Pride makes up the three-ball and looks the danger. My girlfriend isn't much of a golf fan, however, she reads this column from time to time and a couple of weeks ago she observed: "You're always talking about Paul Casey coming back but it doesn't sound like he is." Well, I have news for her, and you, Paul Casey's on his way back and his renewed assault on the PGA Tour starts here at a course he was fourth on in 2010 - his last appearance here. Brendon De Jonge and David Mathis are his three-ball partners.